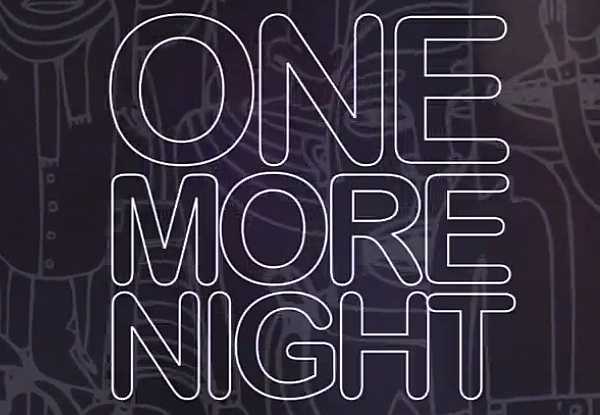 The new Overexposed album will be out next week on June 26th and, as a way to market their said album, Maroon 5 has released their second single from the album called One More Night. The said single certainly kept up with the buzz and positive response created by the previously released Moves Like Jagger and Payphone. The band has been a miss or hit on their previous albums, but I just have a feeling Overexposed, their fourth album, is gonna rock. They almost didn't make it when their previous album, Hand All Over, flopped on the mainstream. Adam Levine, the band's front liner, may have some experiences on The Voice scene that may have forced him to jump the Pop bandwagon rather than focus on alternative songs. It was a smart move, actually! One More Night's techy ooze and beats are really amazing to the auditory senses. Top it with the hot slapped lyrics focusing on a redemptive and give-it-one-more-chance yet destructive kind of love and everyone with the experience can surely relate. Honestly I can't stop "using my head, using my head" from dancing and my feet from stamping a beat. This is a perfect specimen of good music. This piece of eargasmic pleasure is a collaborative effort with hit maker Shellback together with songwriters Max Martin and Savan Kotecha. They are certainly a foolproof ingredients for this sure hit musical offering. If only Maroon 5 will continue making this kind of music, then I will have to say they will not have to experience again what they have gone through on their previous album. Try to get a lot more of new Marron 5 songs when their upcoming album Overexposed hits the music stores next week.